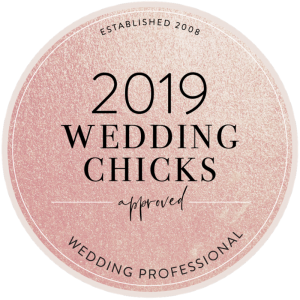 In our line of work, we see LOTS of different wedding styles, and by far our favorite style is the rustic whiskey wedding. Rustic is, of course, country style – but let’s not confuse things – just because something is country, doesn’t mean it can’t be sophisticated, elegant, and beautifully simple. There are so many types of “rustic” that in our opinion, it’s the most versatile style of all. Being minimalist is all about using negative space to create balance and make the important things stand out (mainly YOU!) This means that there are less choices to make, and that the venues are clean and inviting, but also that those choices count. Rather than having all barnboard decor, consider having mostly white decor with natural wood accents. Shabby Chic is a romantic mix of textures and muted pastels. The blending of styles is the signature of a shabby chic decor style, which means it incorporates a rustic quality naturally without compromising more elegant and whimsical elements, like the fun chandelier in the pic below. When going shabby chic, think vintage – even if something is new, we want it to look a bit aged. Every piece has a very timeless heirloom quality. 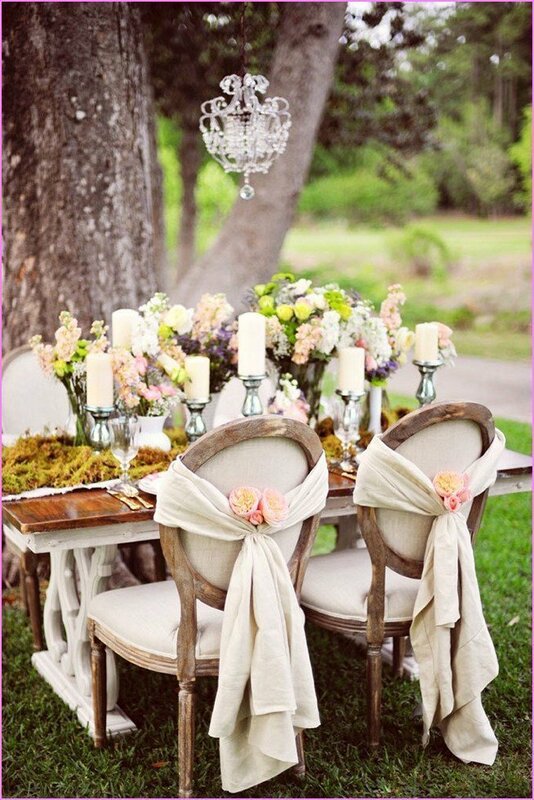 It’s also described as “cottage style,” which means adding shabby chic decor to a wedding creates a very cozy, relaxed, vacation-y feel. Choose a palette of pastels like sky blue, dusty rose, sage green, and beige linen. Incorporate natural elements into your decor with wood accents – think branches and live edge wood. Use mismatched styles of containers for several different types of house cocktails or punches along with a few options of whiskey. Choose few cocktails that will be pastel in color. Use differently textured and patterned (but complementary) cloths on the whiskey bar and on the tables. Order your whiskey barrel head guestbook with a vintage design – think old timey labels or crates for your style inspiration. Let us help! Where shabby chic is flowery and romantic, bohemian is quirky and fun. It can still be romantic, of course, but think macrame instead of lace. Boho rustic also has a travel vibe, but with brighter and bolder colors and textures. Where shabby chic is relaxed, boho is energetic. To be bohemian is to be flowy, artistic, and delightfully unexpected. Keep it flowy! 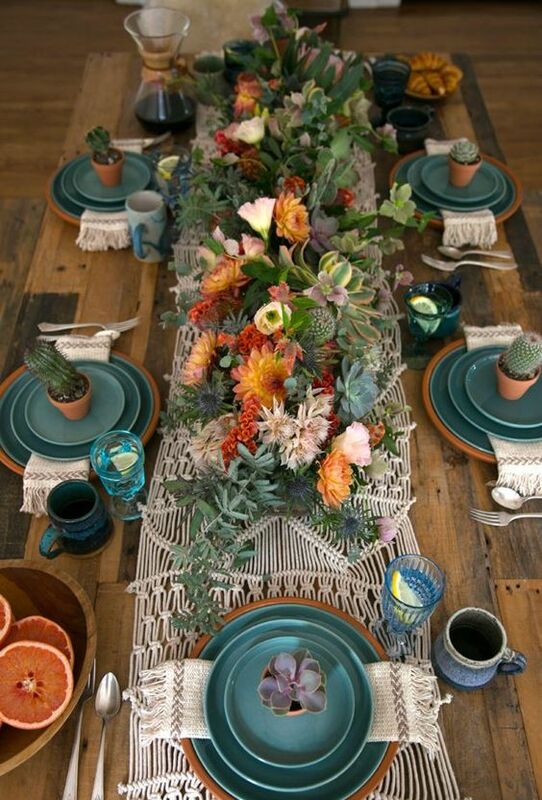 Have fun with light, airy fabrics and homespun textures like the macrame table runner to the right. 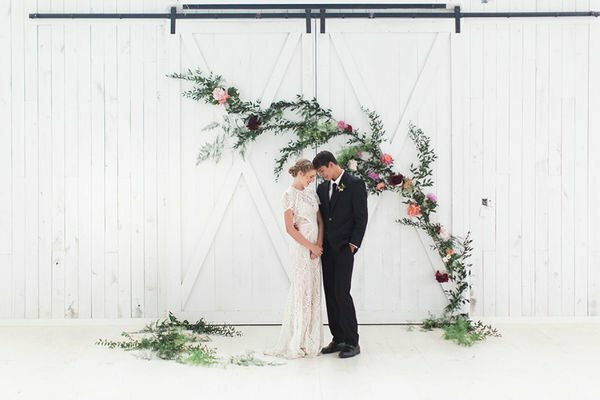 Use flowers in fun, unexpected ways – create flower crowns for bridesmaids, bright wildflower centerpieces, or wildflower boutonnieres for groomsmen. Don’t be afraid of mismatched tableware or decor – be eclectic! 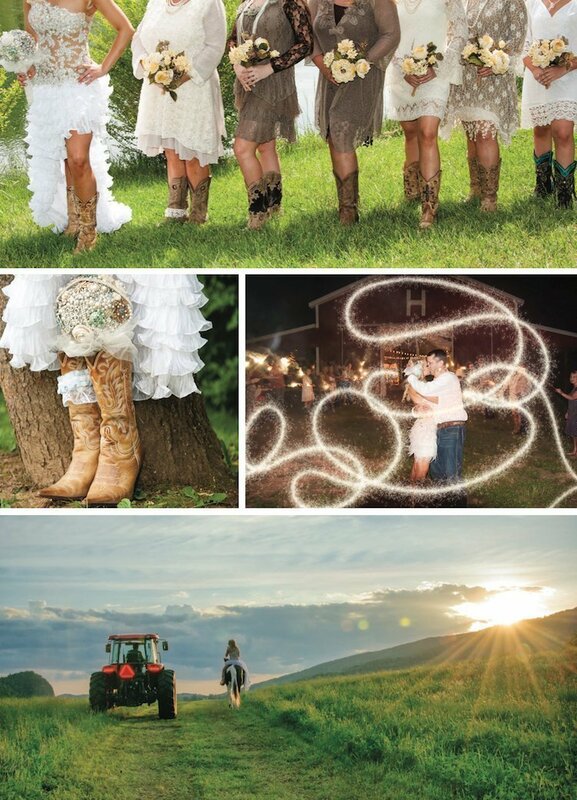 The original rustic style – country-fied! When we hear this we think boots, hay bales, and cowboy hats – but you can definitely make your country style as extreme or subtle as you like. Whether it’s timeless vintage country or over the top electric country (or anywhere in between), make it yours! This may seem like an oxymoron, but yes – rustic can also be modern! Just keep lines simple, shapes geometrical, and design elements clean and raw. 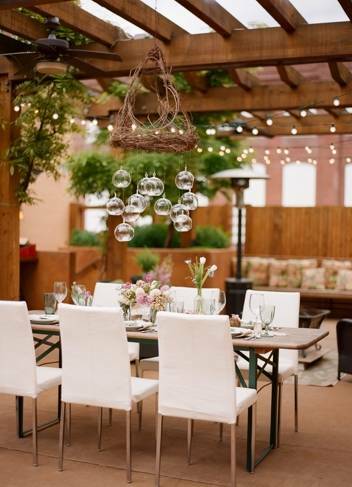 Incorporate natural wood elements to keep it rustic, but bring in metals, simple glass, cement grey, and white with restrained pops of color to create a very classy and refreshing experience for you and your guests. 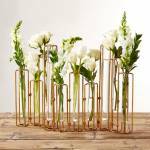 Incorporate brass and copper colors in your centerpieces combined with white and muted florals and greenery. A whiskey bar is a great opportunity to incorporate modern design elements with a few great glass decanters and modern whiskey cocktails. Try a rustic take on a very modern drink by making your signature cocktail a Manhattan with bourbon instead of rye. There are a lot of different ways to do a rustic beach wedding, but in general beach style will use natural, weatherworn wood and green blue ocean tones. 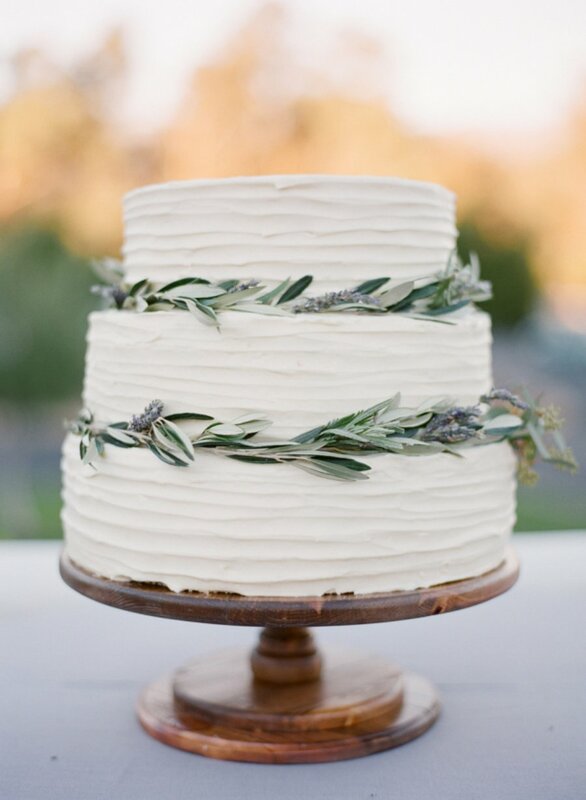 Think flowy white fabrics and tan linen. 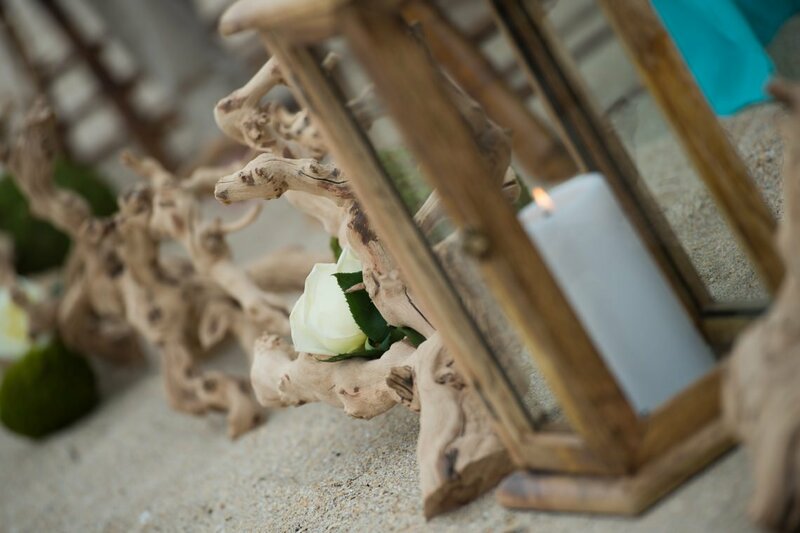 The natural elements for a beach wedding will be different than a woodsy wedding – think manzanita branches and sand with candles and romantic string lights. Great colors for a beach style wedding would be teal and sage, or other cooler colors. Try adding a bright contrasting sunset color (like red, orange, or fuscha) for a few tasteful accents. 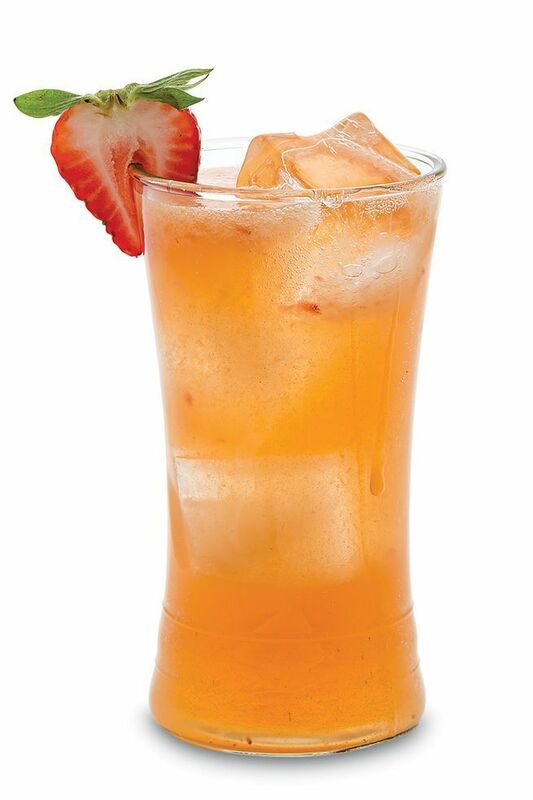 Choose a signature cocktail that’s romantic and refreshing like a Kentucky Buck.